The News Minute has started a new podcast featuring Nilakantan, ‘Puram’, where he will be in conversation with Politicians and policymakers on their vision for society among other things. 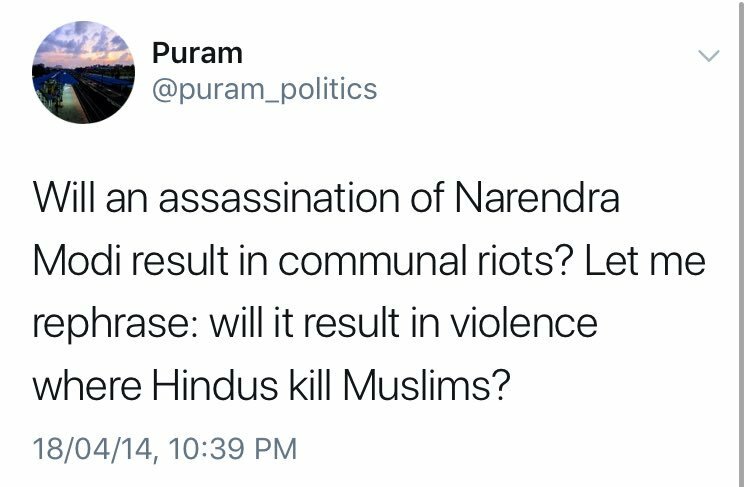 The man in question, who operates under the username @puram_politics, is known for his vitriolic hatred for India in general and Brahmins in particular. 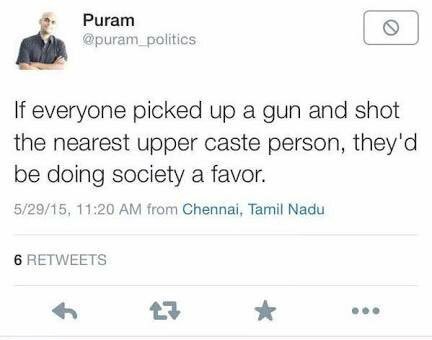 Screenshots of his tweet from 2015 are doing the rounds where he suggested that murdering people belonging to Upper castes is doing the society a favour. 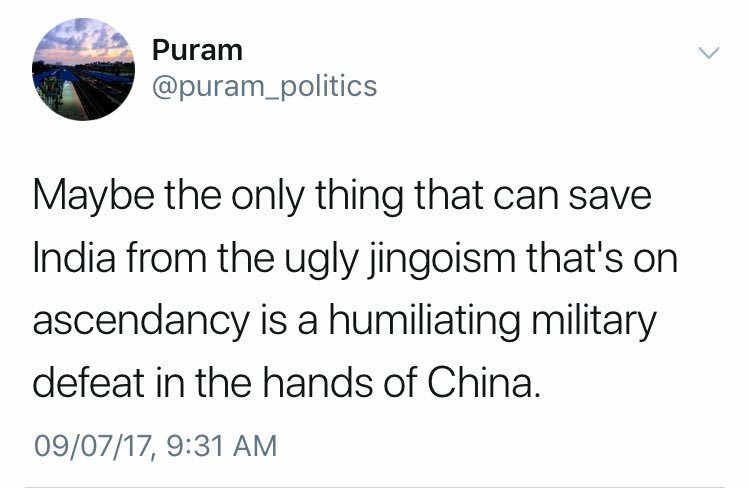 The same handle has also wished for India’s military defeat at the hands of China to stop the rising tide of nationalism in the country. The person was also seen fantasizing about Narendra Modi’s assassination on Twitter. According to some people on social media, one of @puram_politics’ earlier avatar on Twitter was ‘Nilu’. We couldn’t independently confirm these claims, however, the handle @Nilu which has since then been deleted has tweeted some pretty sexually obscene stuff. There are also blogs dedicated to his accomplishments. Again, we can neither verify the claims in these blogs and neither do we endorse the veracity of the claims made. These blogs titled, “Will this guy ever get laid?“, “NILU – THE RETARDED B*****D IN THE BLOGWORLD” and “Nilakantan Rajaraman’s Biography“, either document his sexual obscenities or exist merely for the purpose of throwing dirt at ‘Nilu’. Regardless of whether any of these claims made by these various blogs are true or if @puram_politics is really Nilu, there are enough tweets to prove that he is a murderous casteist bigot who has denigrated and insulted India and the Indian Army on various occasions. That The News Minute has chosen to associate themselves with such a vile person only goes to on show the depths to which the mainstream media has fallen to.